The Assault AirBike console offers a crisp LCD screen that is packed with features for all users. On-board programming allows you to jump into a workout with minimal fuss, or fully customize your session on the bike. Choose from high intensity intervals, or set a target distance or Watt goals. Integrated messaging to help inspire you keeps the workout fresh and motivating, while heart rate monitoring can provide you with the information you need to exercise safely. No two athletes are the same, and personalizing a piece of equipment to match an individual's ability and strength is nearly impossible. The Assault workout meets this challenge by ramping up resistance automatically as you push, pull and pedal with greater speed and force. In fact, the Assault can provide a virtually unlimited workout. Keep it mellow and level to target a heart rate range, or jump into a Tabata/high-intensity interval session that reduces you to a quivering heap of sweat. 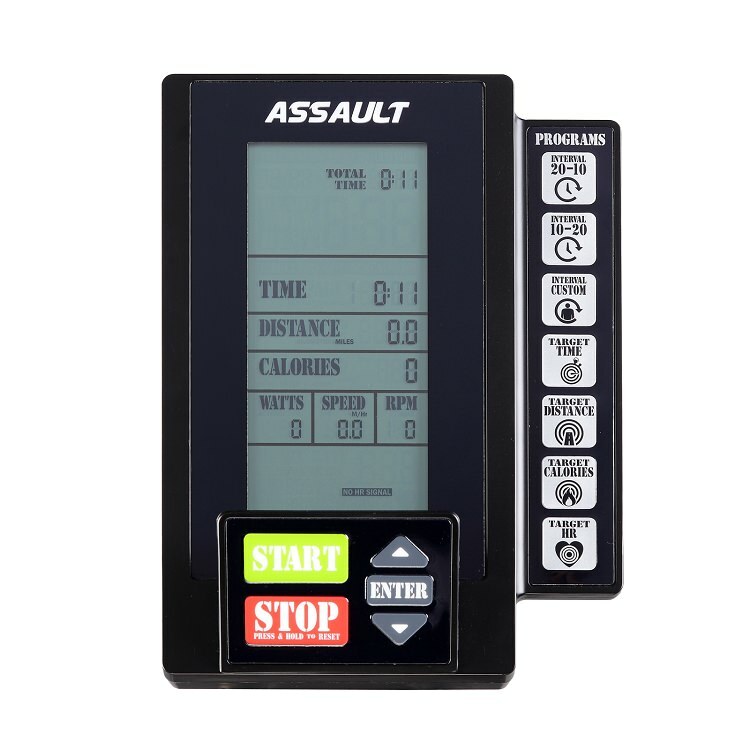 The Assault offers individualized and infinite adjustments for an unlimited workout. 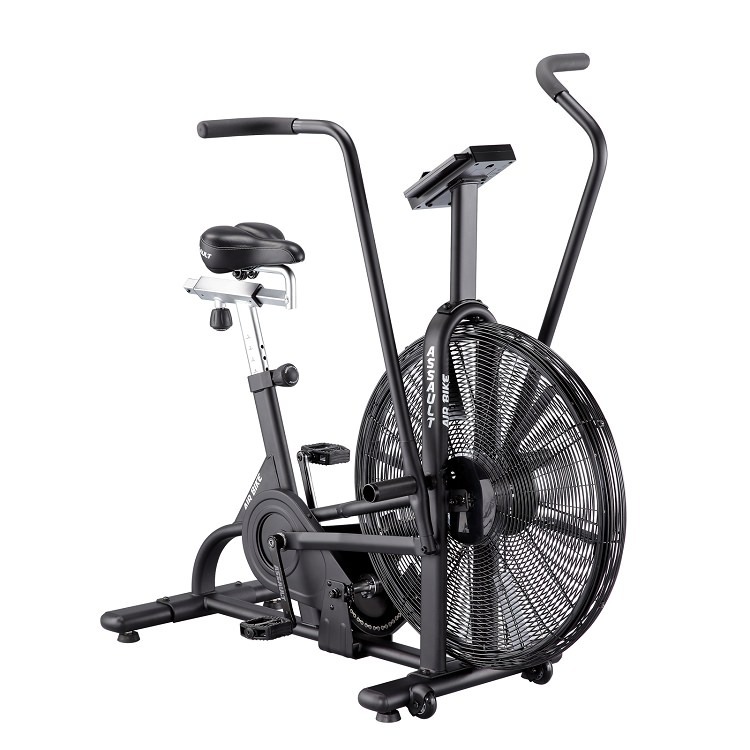 Let the Assault AirBike be the primary tool in your calorie-burning tool kit. Choose from any of the pre-programmed workouts or design your own to keep the workout fresh. On-board messaging offers another form of motivation for the user. With a compatible chest strap, on-board heart rate programs and monitoring can help you keep your workout in the desired intensity zone. Launch your desired program with only one key press. Sealed from dirt and sweat, silent sealed ball bearing cartridges ensure durability for many years. 2.0 mm 14-gauge high tensile steel tubing provides a solid, over-built structure for a frame that is worthy of the Assault name. A robust warranty for a robust bike. Built to take the punishment and we stand behind it. The large diameter resistance fan provides a virtually unlimited workout. Formed from a single piece of high grade chromium molybdenum steel, the Assault's crank set offers the highest degree of strength and durability. Equipped with standard 9/16" threads, the Assault is ready for your personal pedal choice. A sealed cartridge bottom bracket with chro-moly axle ensures less maintenance and smooth operation. 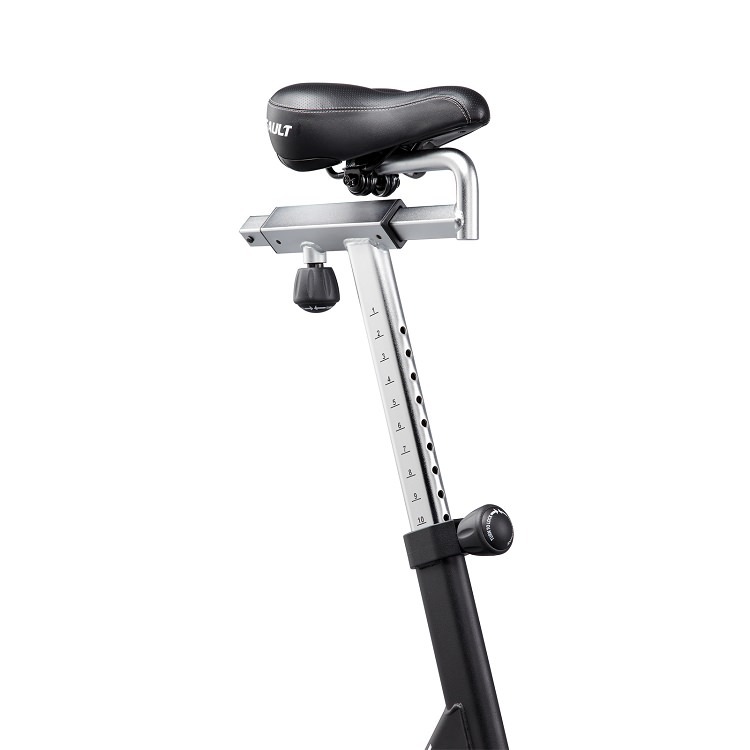 The Assault is equipped 2" (50mm) stabilizer feet for easy leveling and maximum stability. We partnered with Polar® to ensure the highest quality heart rate transmission. Polar chest straps are widely available. 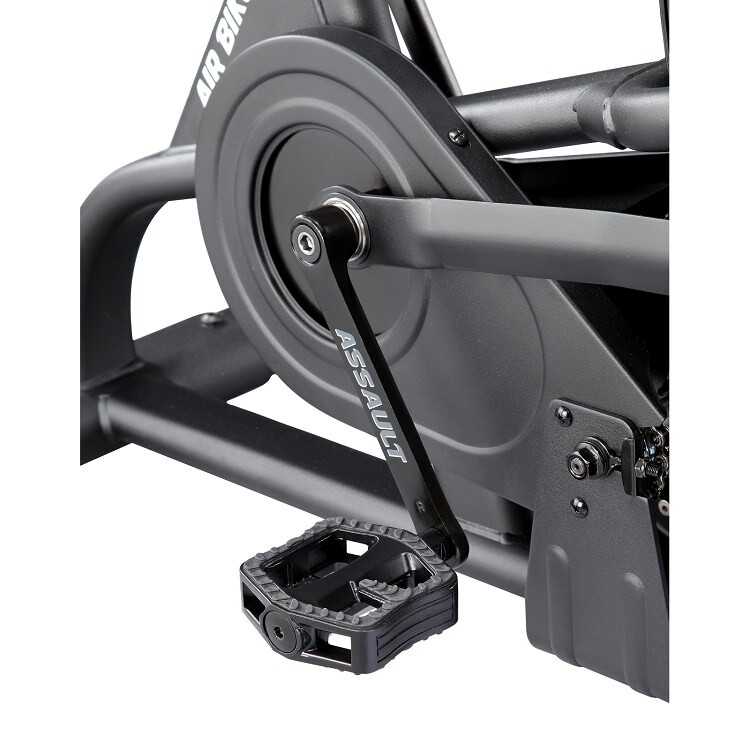 A set of conveniently-located, large diameter foot pegs offer the user a safe place to rest their feet during an arm-only workout. Product was quick to ship. Assembly was easy and took just a few minutes. Bike appears to be of high quality material. Operates smoothly. Great product. Built like a TANK and Again Faster delivered on time and great service!! Our assault bike arrived within days of ordering. I couldn't be happier with the speed of shipping. The bike was packaged well and works great!! We are very happy with the quality of this bike and with the ease of dealing with Again Faster.